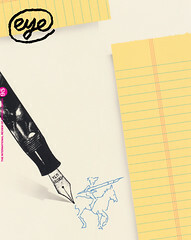 It all started with a letter that Dorothea Hofmann sat down to write to Philip B. Meggs, author of A History of Graphic Design in 2001. Hofmann, a graduate of the famous Allgemeine Gewerbeschule Basel and wife of over 60 years to Armin Hofmann, one of its legendary designers and teachers, meant to follow up on an earlier discussion with the design historian. She strongly felt that he held some misconceptions on the origins of the Swiss Style that had to be addressed. The fact that it took Hofmann three years to write this letter shows her diligence. Her research changed the successive editions of Meggs’s book and left her with a vast amount of material, which she has now assembled in a hefty volume with 400 illustrations. The book comes with a poster / diagram, a genealogical tree that charts the main protagonists, institutions and periodicals that contributed to the Swiss Graphic Design movement. In contrast to other design historians, in particular Richard Hollis’s account in Swiss Graphic Design, Hofmann begins her story much earlier. She locates its origins not in Russian, German or Dutch Modernism of the 1920s, but in the specific Swiss context of eighteenth-century social and educational reforms. She dates the conception as 1762, the opening year of Switzerland’s first Zeichnungsschule, or drawing school, in Basel. These public schools taught geometric and freehand drawing to apprentices of a wide range of crafts as a means to communicate ideas more efficiently. Methodical drawing exercises also played a key role in the curriculum proposed by Swiss school reformer Johann Friedrich Pestalozzi in his seminal work The ABC of Sense Perception in 1803. Hofmann establishes a direct link between his approach and the Bauhaus Vorkurs or foundation course, by comparing spreads from Pestalozzi’s book to works by Josef Albers. Hofmann argues that the Swiss education model influenced the Bauhaus more than was previously thought. Considering that the Zürich Vorkurs started in 1887, a good 40 years before the Bauhaus, and the fact that many of the Bauhaus masters, notably Johannes Itten who developed the first Bauhaus Vorkurs, were of Swiss origin, she might have a point. The book goes on to cover the success story of the Swiss Style right up to the 1990s, but its focus stays on the Basel school. Hofmann writes about its methodical curriculum and rota of influential teachers such as Hermann Eidenbenz, Emil Ruder and Wolfgang Weingart, in great detail. Hofmann’s account stays mostly abstract and I found myself wishing for a more vivid description, especially by this contemporary witness. There is no doubt that the teaching was inspiring, as not only Swiss graphics, but also Swiss education became an export sensation. According to Hofmann, the quality of the Basel school lay in its emphasis on experimentation. She stresses that, in contrast to the schools in Zürich and later Ulm, it was not dogmatic; its goal was to help students find their individual voice. Former student Dan Friedman wrote: ‘I had already confronted two very different design sensibilities: the science-based rationalism of Ulm and the art-based, intuitive logic of Basel. Many market-based, pragmatic Americans naively found these different sensibilities to be indistinguishable styles.’ This failure – even by design historians – to differentiate between the two poles of Swiss Style is of great concern to Dorothea Hofmann. One thing that is conspicuous by its absence is a biography of Hofmann herself. Of the 59 personalities featured in the back, only four are female. I am probably not the only one who would like to hear more about women such as Dorothea, who still remain invisible in the story of Swiss Graphic Design. 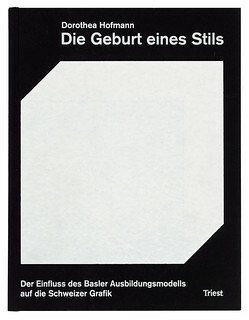 Top: Poster inserted into Die Geburt eines Stils (right), designed by Matthias Hofmann. The poster comprehensively links key figures and institutions from the rich history of Swiss graphic design. 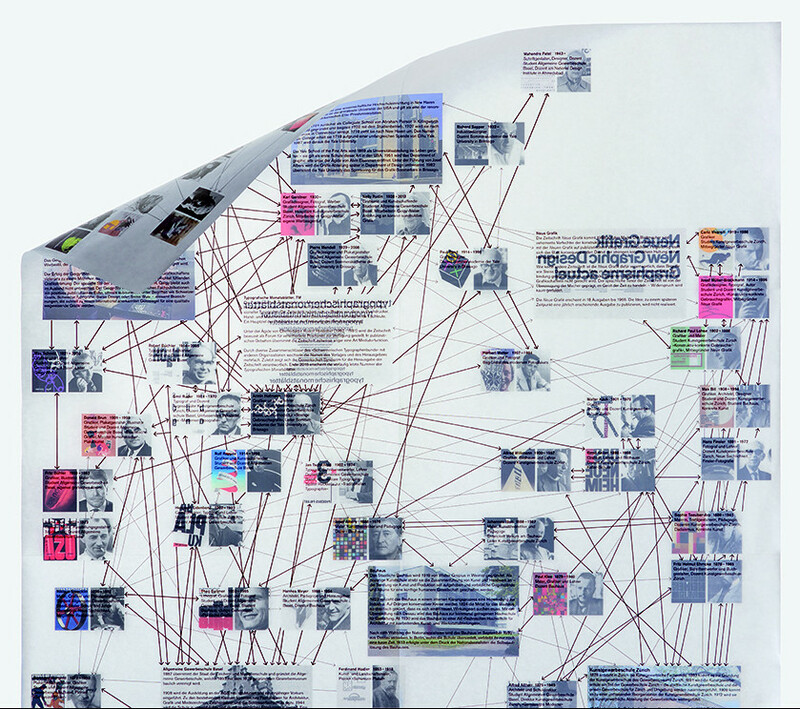 The poster is printed on both sides of a translucent paper – text one side, images on reverse. Photograph: Ed Park.